Fifty years on, fish is still an important part of our business. Our knowledgeable staff buy and sell fresh fish from many markets in the UK including Bideford, Looe and Newlyn. But when it comes to seafood, the world is our oyster and we regularly source from as far away as Greece, Holland, France and the Far East. Our highly skilled fish mongers work through the night, preparing fish to your exact requirements. 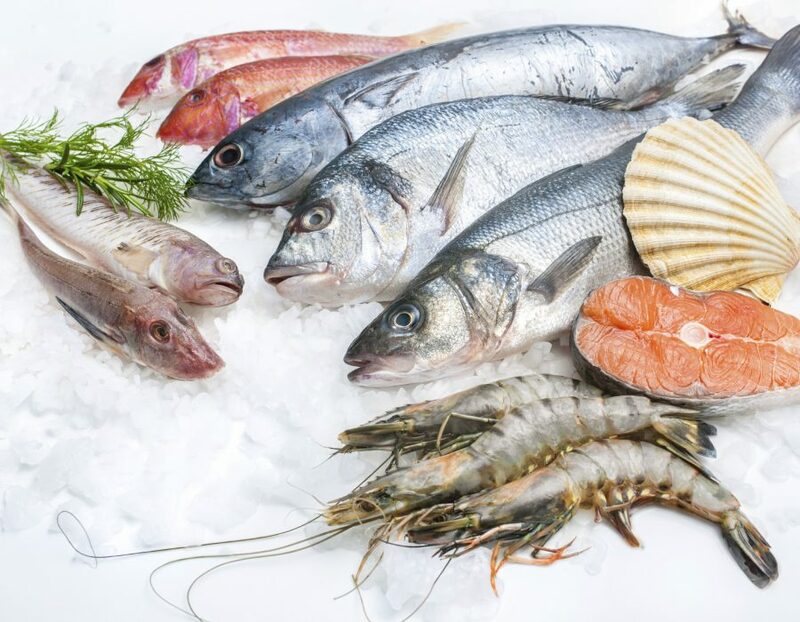 We offer a huge selection from shellfish to prawns; fillets, battered and smoked fish to children’s and prepared products. To check our daily fish prices and availability ask for the Fresh Fish Department when placing your order. We are proud to offer a fish market within our Yate premises. This offers a vast array of quality fresh and frozen seafood and is available to the public. Charles Saunders Ltd, Armstrong Way, Great Western Business Park, Yate BS37 5NG.